Your Friendly Blinds, Shades, & Shutter Company Serving Ventura and Santa Barbara Counties. 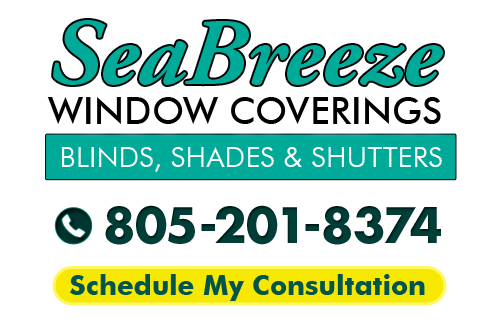 SeaBreeze Window Coverings is the only name that you need to know in order to get the finest in quality window treatment services. With over 20 years of industry-related experience, you can feel confident that our shutter company will provide you with results that go above and beyond your expectations. We are able to establish ourselves as different from the competition because our skill is in design, customer care and exceptional workmanship. Other companies out there tend to be nothing more than glorified blinds salespeople. We can offer information, advice and, most of all, quality results for a completed job. Our end results are determined by two factors: the quality of the workmanship and the products used. By ensuring that both of these elements are top notch, you are guaranteed nothing short of excellence. The bottom line is that we do not just aim to meet your expectations, our goal is always to exceed them. Get in touch with us today so that we can get started providing you with the quality results that you deserve. Blinds are, and always will be, a tried and true window treatment classic. Our job is to help you understand the wide variety of options that you have for window blinds in Ventura and the surrounding areas, and assist you in picking just the right ones for your space. Our goal is to, then, offer excellence in installation so that you have window blinds you can live with, and love, for years to come. The good news is that we even offer blind repairs so you can get yours professionally mended, instead of having to replace them. Choose from several options from our Ventura window blind company like traditional, wood or mini blinds. Let us professionally guide you through the process, beginning with a consultation. We also offer the finest in window shades, with exciting options like honeycomb, roller and woven wood. Shades are another quality and classic selection that will help improve the look and ambiance of your home or office. Make the wise decision to work with our professional team so that you get the results that you want, need and deserve. You are going to be impressed with our vast catalog of beautiful and quality options we have for you to choose from. Don't settle for less than the best, when it comes to the results that you get from your window treatment service and product provider. Nothing is as timeless as shutters in Ventura, CA, yet they make the transition beautifully to pair with all of today's interior design looks. Opt for either traditional or plantation, depending on how dramatic a statement you want your window treatments to make. As the local leading service provider for window coverings, we take great pride in the work we do. Your satisfaction is as important to us as it is to you. We want you to be able to live with, and love, the results that you get, for years to come. We look forward to having the opportunity to work with you and provide you with exceptional service. Let SeaBreeze Window Coverings show you in person what a difference true quality makes. For the best in prompt and professional window treatment workmanship, you can count on us to deliver. What Type of Blinds Are Best for Your Ventura Home? 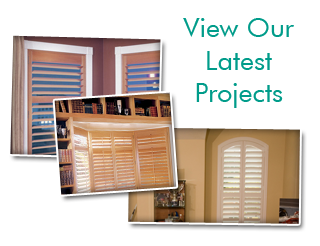 If you are looking for a Ventura shutter company then please call 805-201-8374 or complete our online request form.